Do you love Halloween but prefer to stay in? 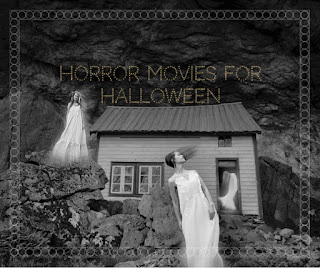 Or maybe you and your friends are planning on celebrating with a scary movie marathon. 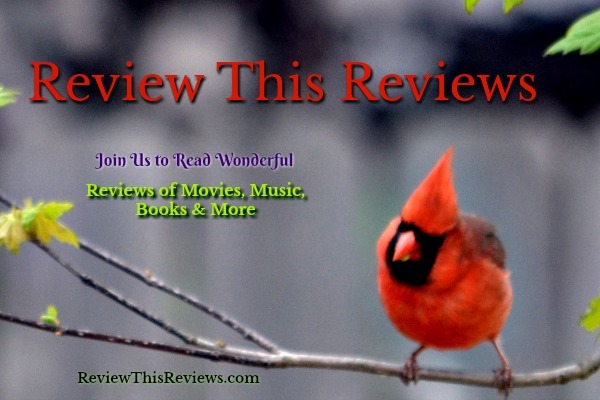 If you enjoy a good psychological thriller. slasher movie, or love a good jump scare, know that you are not alone. Many of us will pop some popcorn, pour a cold drink, and settle in for a movie fright fest. The following movies are highly recommended for mature audience viewing. At-home movie viewing is amazingly simple these days. 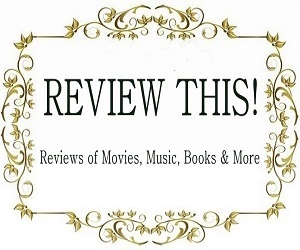 A quick stop at a local movie rental kiosk or a couple of clicks on Amazon Prime movies, and voila, you are viewing the hair-raising movie of your choice. Whether you prefer the original horror classics such as The Birds (1963), The Exorcist (1973), Carrie (1976) or more current horror flicks such as The Conjuring 2, The Purge: Election Year, and Lights Out, there are plenty of movies to choose from that will make your skin crawl, raise your hair, and have you imagining things bumping on this Halloween Night. The Exorcist (1973) - The scenes of demonic possession and the little girl's out-of-control body caused many sleepless nights for me. Reportedly, the scenes were so nauseatingly frightful that some theaters provided bags for patrons who may become ill. I have wanted to view this movie as an adult, but cannot bring myself to do so. I change the channel as the "good parts" begin. The Texas Chainsaw Massacre (1974) - Recommended as "unequaled", "unparalleled" and probably "the most frightening motion picture ever made". What begins as a weekend getaway for a group of friends turns into a frantic attempt to escape the clutches of a cannibal family. Are you brave enough to invite Leatherface into your home on this Halloween? Child's Play (1988) - "Hi, I'm Chucky. Wanna play?" Every child has a beloved toy. But what happens when that toy turns evil and there is no escape?! I've never looked at dolls quite the same. Silence of the Lambs (1991) - Buffalo Bill is a serial murder, murdering young women. The FBI are trying to catch this killer and as the movie twists and turns, it is up to young, Agent Clarice Starling to silence the crying of those lambs. The Purge (2013) - Once a year, for 12 hours, all crime is legal. Including murder, which is recommended. The government and it's citizens attribute the strong economy to this purging. Would you be strong enough to survive The Purge? A terrifying American dystopian horror film. The Walking Dead (season 1 - 2010) - The zombie apocalypse arrives and survivors are left to fend for themselves. This gruesome and suspenseful television series is such a hit that it is well into it's 7th season with no sign of losing steam. If you haven't begun the series, and you like horror and gore, plan to watch this in a binge session. The world has been over-taken by the "walkers" and while survivors learn to adapt to this new world, the survivors also quickly learn that other humans are just as dangerous as the zombies. 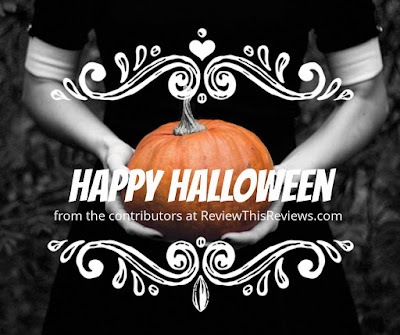 Whatever you are doing on this All Hallows' Eve, we hope you are safe and having a boo-tiful good time. I plan to be home in a comfy chair, eating a bowl full of popcorn, and watching a terrifying movie. 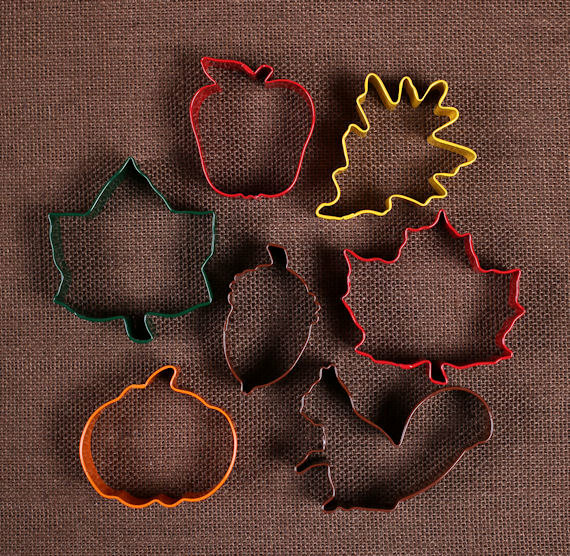 Use this unique and colorful set of Autumn cookie cutters to make Fall and Thanksgiving sugar cookies! This 7-piece set comes with three different leaves, a squirrel, an acorn, a pumpkin and an apple. 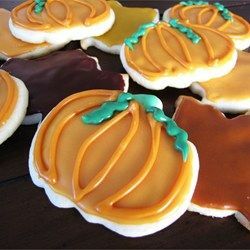 Create a plateful of your favorite sugar cookies in Autumn Leaves designs for the Fall Season. 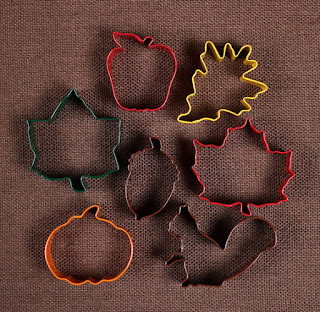 Whip up another batch for Thanksgiving using the Harvest-Time cookie cutters of an acorn, a pumpkin and an apple. There's even a little squirrel for fun. These seasonal cookie cutters can be found in the Etsy Shop called The Bakers Confections, which is a Bakers Party Shop. 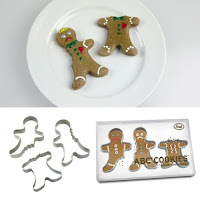 The cutters are polyresin coated metal cookie cutters varying in size from 2.75" to 3.25". Esther & Shauna of Scarborough, Maine are 'the girls' behind The Bakers Confections Party Shop. Before opening their shop on Etsy, they each had a dessert catering business. They had a desire to make some of the great products they used in their creations available to others. To that end, they developed a few signature color collections in a wide variety of products to give you a one stop baking and party supply shop where you can find all the fun items you need for your next party or celebration. Among the many choices in their shop, you will find cupcake liners, ice cream cups, sprinkles, paper straws, eco-friendly wooden utensils and candy scoops in colorful combinations. Check out The Bakers Confections for these and many other baking needs. The Fall season also includes the holiday of Thanksgiving. The Bakers Confections has just the right cookie cutters for Halloween cookies for those little 'trick or treat' tots visiting your house on Halloween night. Or perhaps you are having a Halloween party and want a plate of spooky sugar cookies for the occasion. 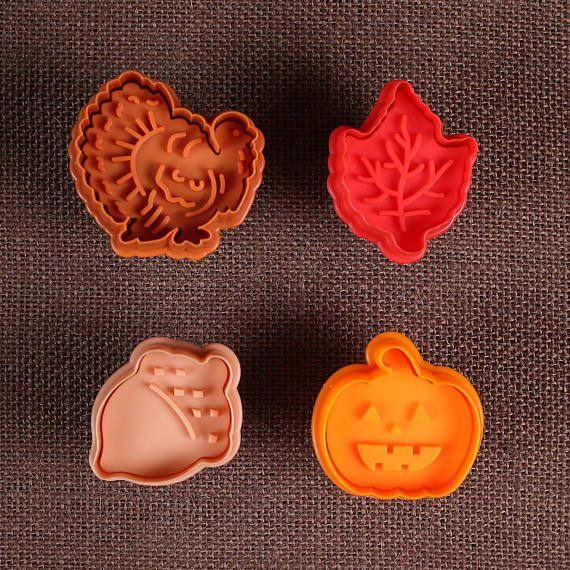 Thanksgiving Cookie Cutter Set comes with a Bat Cookie Cutter, a Pumpkin Cookie Cutter, and a Candy Corn Cookie Cutter. The cutters are metal with a non-stick coating. 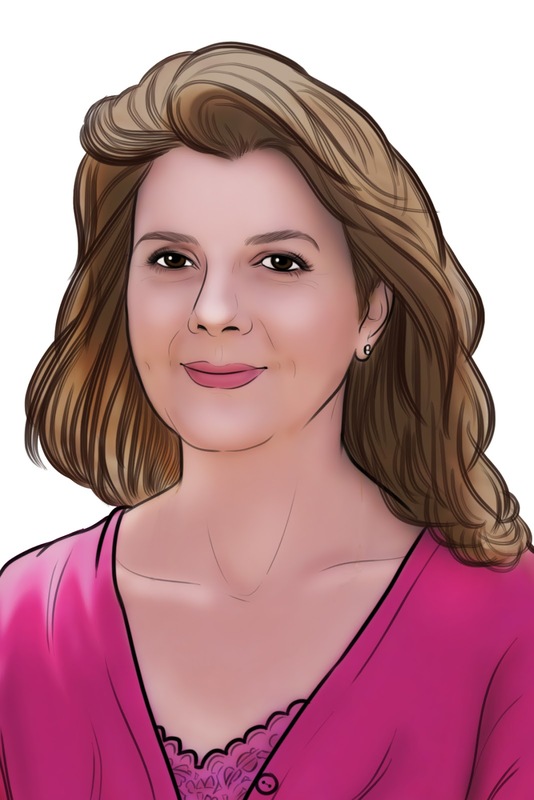 For more fun Autumn/Fall/Seasonal cookie cutters, check out the Top Gift Ideas for Women from Fred & Friends in the article Top Gift Ideas for Women by Louanne Cox. Nothing like Zombie style (Already Been Chewed) gingerbread MAN cookie CUTTERS to generate some interesting party-time conversation! Use these and other seasonal cookie cutters with a sugar cookie recipe, such as this one for The Best Rolled Sugar Cookies which can be found online at AllRecipes! Your cookie jar (and your family) will be happy you did. With the wide variety of cookie cutters available in fun shapes, your cookie jar will be filled with sugar cookies for every occasion throughout the Fall season, including Halloween and Thanksgiving, and even into Christmas. 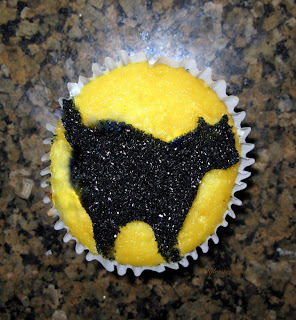 Stenciling cupcakes is a fun way to decorate cupcakes. Using stencils is a pretty easy way to decorate beautiful Halloween cupcakes that are certain to be a frightening fantastic addition to your party table. By simply using stencils, confectioners sugar or sanding sugar, you too will be able to create tasty treats that double as great Halloween decorations. If you can't find the cupcake stencil you want, why not use a small cookie cutter? Let me show you exactly what I am talking about and what your guests will be talking about at your Halloween party when you make these creepy cupcakes! 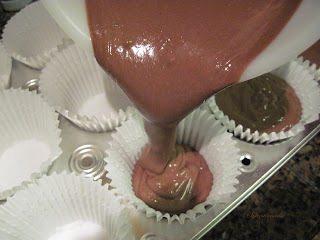 For convenience, I used boxed cake mixes to make my cupcakes. I baked 12 large Triple Chocolate Fudge with a Betty Crocker Super Moist cake mix and 12 large Lemon Supreme cupcakes with Duncan Hines Moist Deluxe cake mix. I selected these flavors because I knew I would not be icing all of them and I wanted cupcakes that would taste good without icing. Delicious filled cupcakes would be ideal for these stenciled cupcakes for Halloween since they will not be frosted. Here are a few recipes you might like for your frost-less cupcakes. 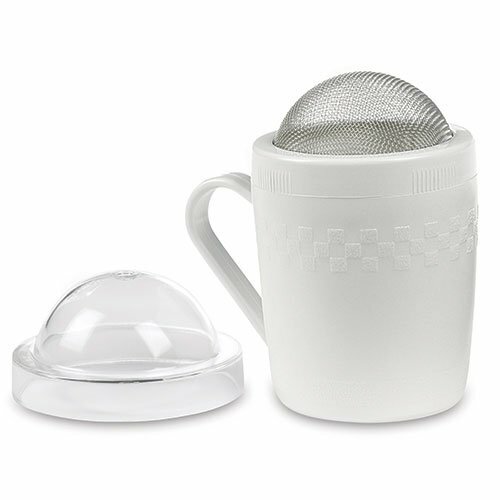 Decorators note: An essential tool for decorating with Confectioner's sugar is a cup with a mesh top. This cup will allow you to literally sprinkle confectioners sugar onto your cupcake once the stencil is in place. It will cut down on the mess often associated with decorating with confectioner's sugar. If you don't have stencils on hand, you could also use a small cookie cutter. 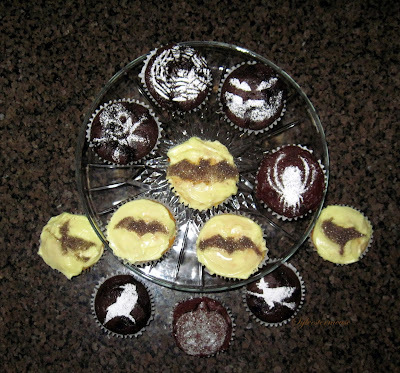 Owls and ghosts were not included in my stencil pack, but I wanted cupcakes decorated with them. Since I love owls and ghosts at Halloween, I used my cookie cutters. It is the same process, you simply have to make sure you have a good hold on the cookie cutter and have it firmly pressed against the cupcake top so the powdered sugar doesn't escape the sides. Stenciling cupcakes that have icing is a little messier and a bit more tricky, but can certainly be done! 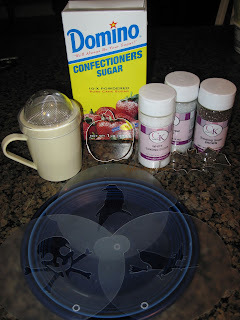 To stencil an image on icing or frosting, you would want to use sanding sugar instead of powdered sugar. The sanding sugar does have an added "sparkle" benefit. You do need to be extremely careful when you lift the stencil or cookie cutter off the icing to keep from dropping excess sugar outside of the image lines. The icing tends to try to hold on to your stencil. I recommend lifting it straight up and off the cupcake without tilting the stencil. When you decorate your Halloween cupcakes with stencils or cookie cutters, your variety is limited only by your cookie cutters, stencils and supplies. I have dozens of cookie cutters and several packs of Halloween stencils. I enjoy playing around with them and seeing what unique cupcakes I can create. Now, everybody knows you can't celebrate Halloween without the black cat. Isn't he spectacular on his golden moon cupcake! They are also great for cakes! You can see my directions on how to stencil a Halloween cake by clicking this link to Cooking for the Holidays. Confectioners Sugar is available in most grocery stores. A variety of sanding sugar colors is not as easily obtained. I purchase mine online. I also purchase my cookie cutters and stencils online. The stencils used in this article are an older pack of Martha Stewart Halloween stencils - M230600 (UPC #015586743364). The pack includes the bat, 2 jack o' lantern faces, the witch, the spider, the web, the skull & crossbones and the raven. (Neither the raven nor the web are shown on the front of the package.) The only place I could find them at the time of writing this article was on eBay. Since eBay inventory changes constantly, I recommend checking here again soon if you don't see exactly what you want right now. 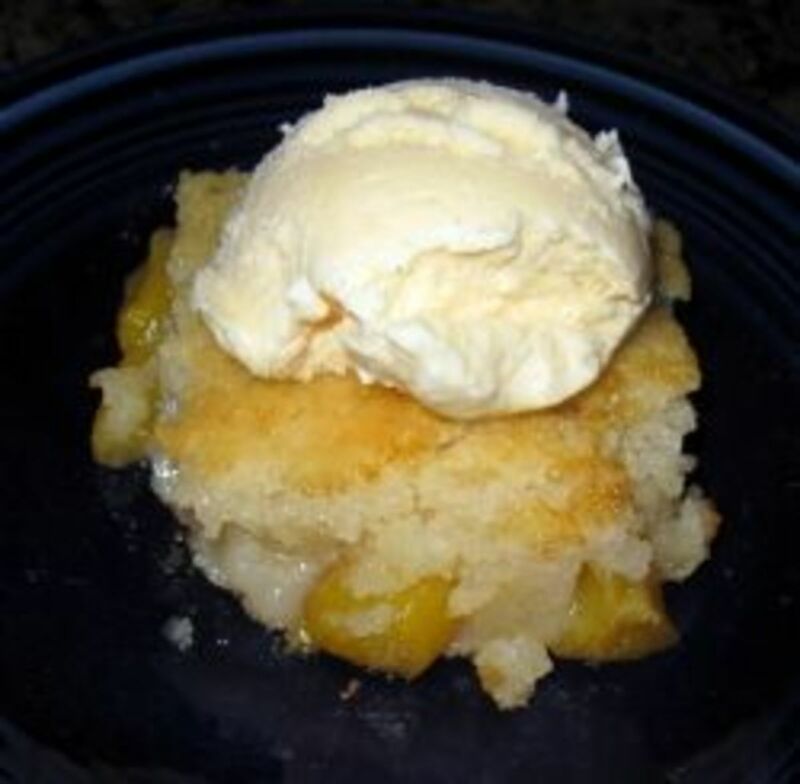 My mother's peach cobbler is one of my favorite desserts. Actually, it is my favorite breakfast too. I have even been known to eat it for lunch. 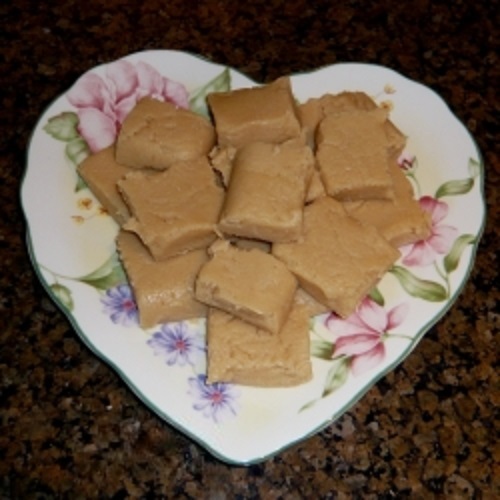 This is my mother's recipe for Peanut Butter Fudge. I have never seen it published anywhere else, but it is the best I have ever tasted. In past articles I have discussed photographing at night and photographing water falls. In this post I will be combining the two. 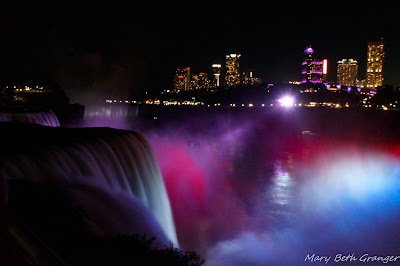 In September we stayed overnight at Niagara Falls in New York and I was able to photograph the beautiful falls at night. 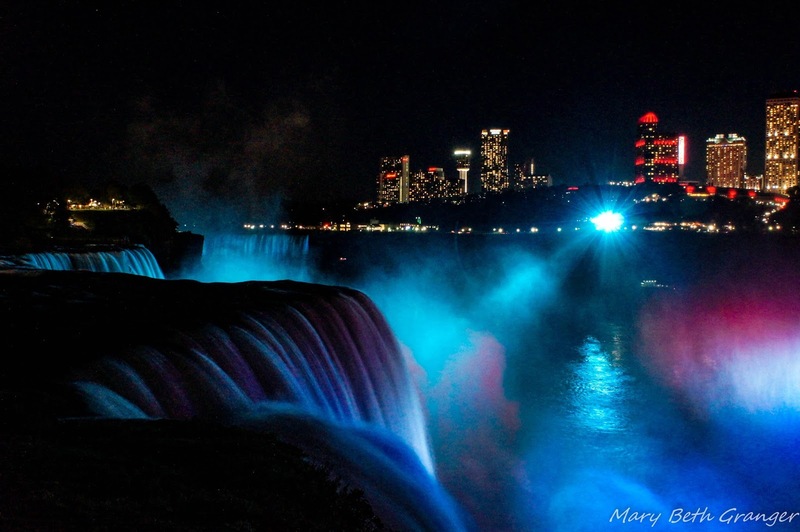 The photograph above shows the American Falls in the foreground, the Bridal falls in the mid section and a glimpse of Horseshoe Falls in the background. The building you see in the back are the Canadian side of the falls. 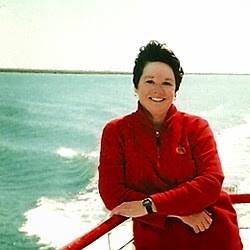 In order to capture the smooth look to the water I used a tripod and a remote shutter release. Here are my tips for shooting smooth waterfalls at night. It helps when they are lit up in beautiful colors like Niagara Falls. Use a slow shutter speed...the photo above was shot at .4 sec This gives you the smooth look of the water. If you want a less smooth look than increase your shutter speed. In the photo above and the one below I was using a wide angle 24mm setting and an ISO of 3200 along with an aperture of f11. Another great photo at Niagara Falls is shooting the rapids leading up to the falls. 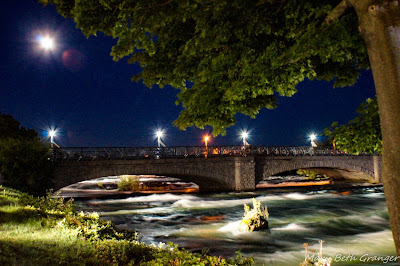 In the photo above I was able to capture the rapids and a beautiful full moon in the sky. 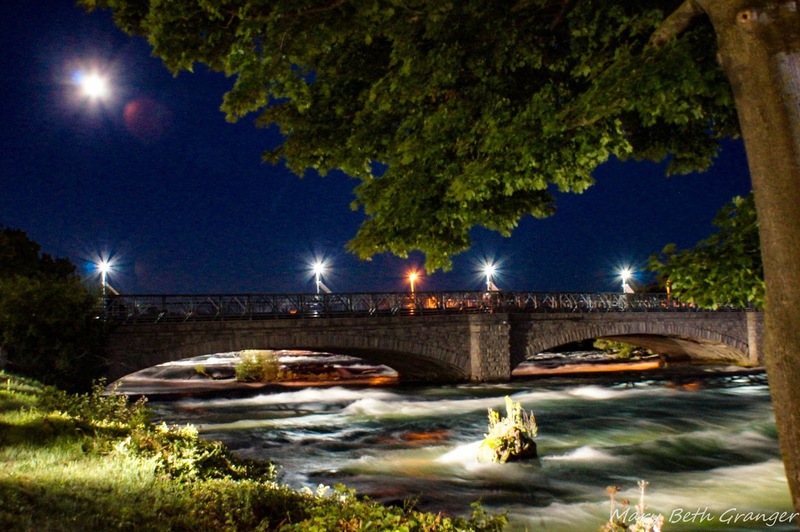 For this photo I held my camera open for 2 seconds and got the bursts of light from the moon and the lights on the bridge along with the smooth look to the rapids. For another view of Niagara Falls see the mug below. On this photo I shot during the daytime without a tripod an used a faster shutter speed. Children and Money are sometimes contentious issues! 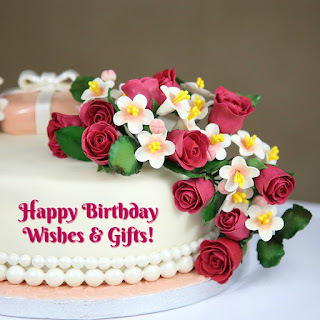 Parents have issues around the getting and spending of money that may have been given to the child as a gift. So the big question is, "How do you encourage your children to look at money differently?" "How do you encourage them to Save Money?" or "How do you teach them the value of money?" Let me give you a suggestion that hopefully will help you out of this quandary. If Children are taught to look at money differently, they may just find that they will wait before running to the corner store to fill up on candy or "junk". 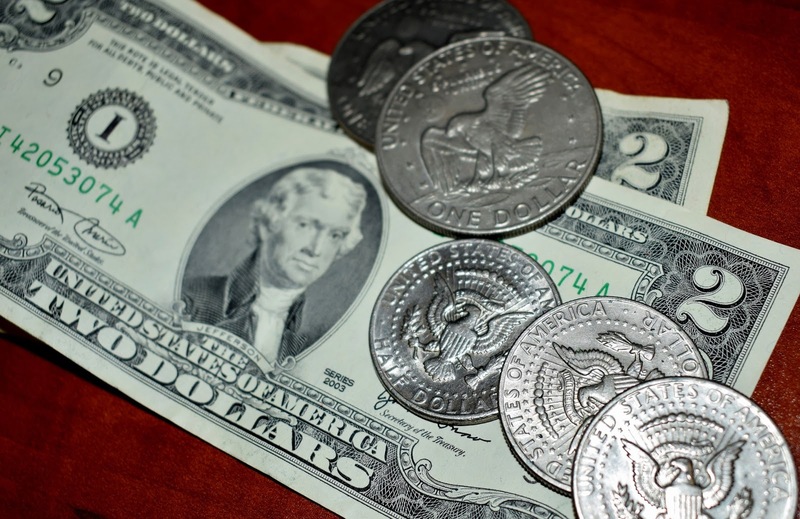 Coin collecting has been a hobby and pastime enjoyed by many people all over the world. It changes the meaning of money for our children too. Let's get our kids looking at their money before they spend it. Instead of giving them paper money, give them coins. Collectible coins that will start them on a journey of discovery. There are many countries including the USA that produce "special" coins for historical, scientific or cultural breakthroughs or events. These coins are minted in all denominations, from, Pennies, Nickels, Dimes and Quarters, to Half dollars and Dollars. Can you see how you can get your children interested in something as small as a penny or as big as a Dollar? Having a book or two on coins and their making, and then starting your children with a set of coins can begin a fascination that will take them through their whole lives. You just have to look at how much an Indian Head Nickel will cost you today, to know that it's also a great investment. As the years go by, and the children get older, the denominations of the coins can also get bigger or not! It is entirely up to you and your circumstances. One thing is certain, if this sparks an interest for your child, they will be hooked on looking at money from a whole new angle and you will have started them on a hobby that will last through their whole lives. They will look at their "coin collection" and be able to say Grandma and Grandpa gave me this coin, or Auntie gave me this one. Each coin will have a wonderful memory attached to it. As promised a few weeks back, I will review a crochet poncho pattern that I am currently working on for myself. You can see on the left the finished front panel of my colorful little addition to my wardrobe. Ponchos are trendy right now in the crochet world and this one is pretty easy to make. If you have ever done a granny square, you will master this pattern pretty quickly. 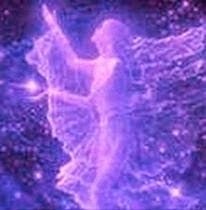 There are only two rows to learn and then it is just a repetition of them until you have the desired length. 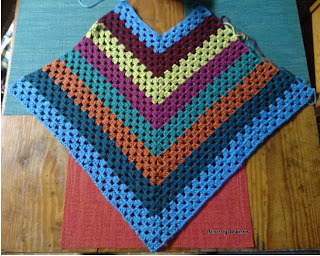 I found this crochet poncho pattern while reading a post from Mikey at The Crochet Crowd and decided that I would give it a try. I love ponchos and since I seem to always be cold I thought it would be nice to have one that I can just wear around the house to keep my shoulders warm. I used some spare yarn that I had in my stash to create something that would go with many of my tops. I can wear it at home or I can wear it when I go out to do errands. The fun thing about this easy to crochet pattern is that it is so versatile. 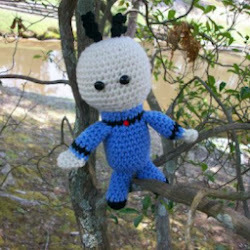 The original pattern shows it using just one color of yarn. I decided to get creative and use 7 colors. Mikey in his video tutorial used a variegated yarn. The same pattern looks totally different when you work with your own creativity. If you have been thinking that you would like to add a poncho to your wardrobe and want something unique that can't be found in stores, I recommend trying this easy to crochet poncho pattern as an option. It really does not take very long to stitch up! One would even be a nice gift for someone you love or they are nice to hook-up and donate to a local shelter. Neti Pot is a method of natural sinus relief and health that has been relied upon for centuries in other parts of the world. It's use in the US is increasing as more people find increased sinus health and infection prevention with regular nasal irrigation. 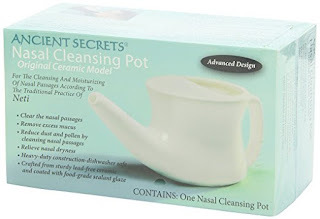 I am convinced that my own Neti Pot use has prevented many sinus infections and headaches. In this quick review, I will outline how I use Neti Pot as an almost daily part of my health and hygiene routine. As the seasons change, my co-workers have taken turns fighting sinus infections and illnesses that involve pain, phlegm, and missing days of work. I have not yet caught this round of sinus germs and I attribute that to the Neti Pot. I recommended nasal irrigation to a friend at work, and had a hard time explaining it to her. As I was searching for a "how to Neti Pot" video for her, I decided to share the information here. I would like for everyone possible to find sinus and allergy relief. I also should add that at times using the Neti Pot has alleviated some of my migraine pain. 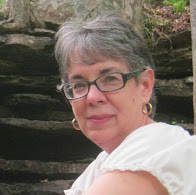 In the spring, our own Bev Owens reviewed NeilMed Sinus Rinse. 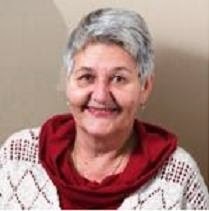 She shared how adding this sinus irrigation to her daily hygiene routine has alleviated her sinus headaches. 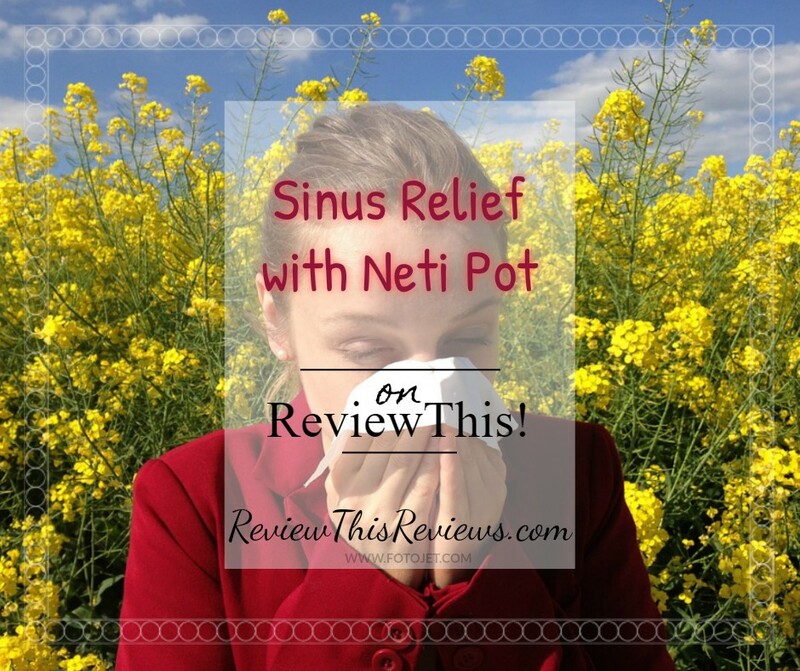 Please take a peek at her review to learn how helpful nasal irrigation has been for her. Personally, I use a ceramic Neti Pot, warm water, and a bit of salt. 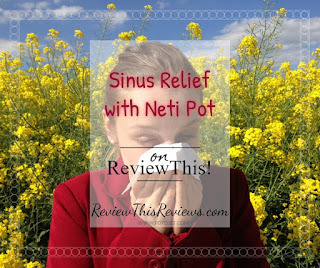 Initially, I tried to learn how to Neti Pot when I was already ill. For a week or so, no water passed through my nasal passages - that is how swollen and congested my sinuses were at the time. Thankfully, I did not give up. Every morning I lean over the bathroom sink and use Neti Pot. Since I've begun this routine on a regular basis, I've only had a sinus infection/bronchitis type illness that required a doctors visit and prescription medication 2-3 times over the last decade. 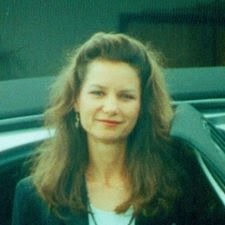 Historically, I'd visit the doctor for such illnesses 4 - 6 times each year! It is very important that the water is a good temperature. I check my water temperature on my wrist, as I did with baby's bottles. Too cold is painful. Hot water could be damaging. Baby bottle temperature is soothing to me. Learning to relax enough to allow the water to pass through is not an easy thing for some people. But I encourage you to try and to practice before giving up. I believe it is well worth the practice. I am not a doctor. Nor can I give trained medical advice. I highly recommend that you choose Neti Pot and nasal irrigation after consulting with your doctor. 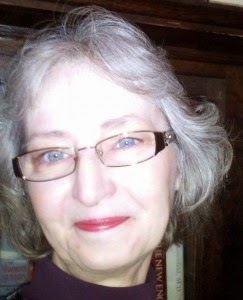 I am only sharing what has worked very well for me and has nearly eliminated my use of allergy medications and visits to the doctor for sinus/congestion types of illnesses. The writers on WebMD shares a brief history of nasal irrigation, comments that research proves that it works, why it works, and how to use a Neti Pot. This is a fairly complete and concise overview for beginners. I know someone who frequently tells me that because I Neti Pot, I'm going to die from the water-born, brain-eating amoeba. My first thought is that swimming in fresh water during the summer months is far more dangerous than using my Neti Pot. But, out of an over abundance of caution, I am including this informative video from The Doctors. I have also begun to refrain from using tap water in my daily routine. The Doctors speak of the amoeba concern as well as demonstrate how a Neti Pot is used. Plus More Dallas Smith Songs! 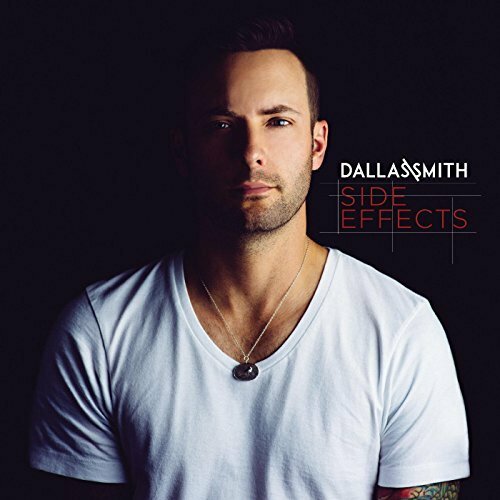 This very catchy tune is by popular Canadian Country Music Artist, Dallas Smith. I'm a Dallas Smith fan, so introducing you to his latest hit song is my pleasure! This wedding song is about his wanting to 'change your autograph'. Women's Lib aside for a minute, how sweet is that! Of course some of us don't change our autograph when we marry and that's perfectly fine. This song simply celebrates his attraction and love for her to the point that he wants to 'change her autograph so everybody knows that he's the lucky one'. Autograph is the prelude of emotion before he puts a ring on it: He sees her, and like the true passion that love can be, the song expresses how he wants to share his name with her. 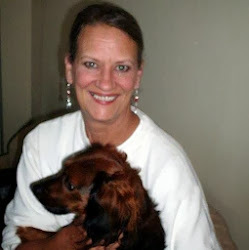 Because I think animals have the loveliest fur, I was thrilled when I discovered Fabulous Furs, a company that manufactures exquisite faux fur coats. 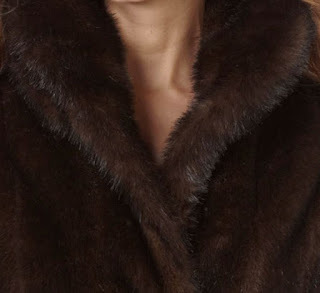 The soft feel coupled with the warmth of fur makes a beautiful, warm and luxurious coat, jacket or throw. Even though I think animal fur is gorgeous, I have always refused to wear real mink coats or any other real fur coat. In spite of being surrounded by women in society who consider animal fur the ultimate fashion statement, I remained "unfashionable". When my husband gave me my first Fabulous Fur coat, I was absolutely amazed at how beautiful and warm it was to wear. I now have several faux fur coats and I thoroughly enjoy wearing them. I adore my collection of Fabulous Fur coats that imitate the natural beauty of animals and I am extremely proud that they are not real animal fur. Anyone who knows me well, knows how much I love animals! 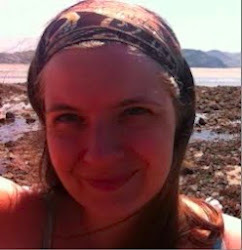 I would never consider harming or killing an animal for the sake of my own vanity. 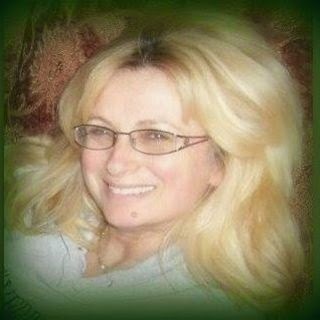 The Coats and Jackets are Available directly from Donna Salyers Fabulous Furs website. Dress up your Home too! 60X86 SIGNATURE THROW WHITE MINKIn addition to stunningly gorgeous coats, jackets, vests, ponchos and wraps, Fabulous Furs also offers a variety of beautiful faux fur throws. Our daughter owns the faux fur white mink throw and matching pillow. It was a rather extravagant purchase at the time we purchased them, but she really wanted that throw and pillow set. As it turns out, it was a great investment. That throw and pillow set have been the one constant through several paint colors and decor changes in her bedroom. White is not everyone's first choice, but there are several fur color options available. The puma, lynx, red fox and sable are a few of my own favorites. 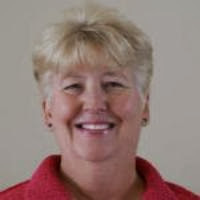 I have had the opportunity to deal with Donna Salyers' customer service department via the phone too. 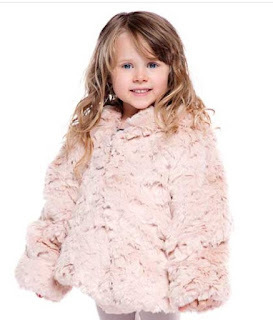 A few years ago, we purchased a little pink rabbit faux fur for our niece for Christmas. When I ordered it, the coat was out of stock and due before Dec. 28th. However, I'll have you know, I received it Dec. 24th. I know they went the extra mile to get that coat to us by Christmas when many companies would have simply figured the sale was made, what difference did it make. Well, it made a difference! They now have several loyal customers in our family. That evening, our niece had no more ripped into the package, before she was wearing her new coat and muff. The house was full of people and was quite warm, but we couldn't talk her out of that coat. She loved the gift and she looked like an adorable pink bunny in it. As a side note, in that shipment they accidentally included a luxurious Sable vest. I suspect that was due to rushing the order out for me and probably several other customers too. It was such a soft and beautiful vest! However, since I had not ordered or paid for the vest, I had to force myself to call customer service and tell them about the error. That sable was so soft! I confess, I petted it for a while before I taped up the box for return. Since I own several of these coats, I can personally attest to the high quality and beauty of these faux furs. My leopard coat is actually prettier than the real leopard fur coats that I have seen in department stores. The very best thing is that those gorgeous big cats were not killed so I could have a coat that duplicates their natural beauty. As a seamstress, I can also tell you that these coats and jackets are well made. The lining is exceptional and the buttons or snaps are secure. The pockets are also well hidden in the seams and lay flat. I always appreciate extraordinary workmanship! 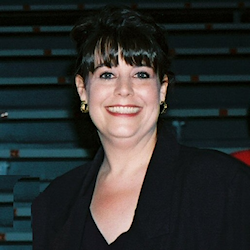 Donna Salyers, President and founder of Fabulous-Furs, explains how the company began . 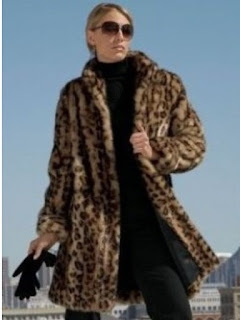 . .
"Inspiration for Fabulous-Furs came nearly two decades ago when I was on my way to purchase a mink coat. On my car radio, Paul Harvey described kittens being skinned to become "mink" teddy bears. Instead of buying a coat that day, I was inspired to create a luxurious alternative." 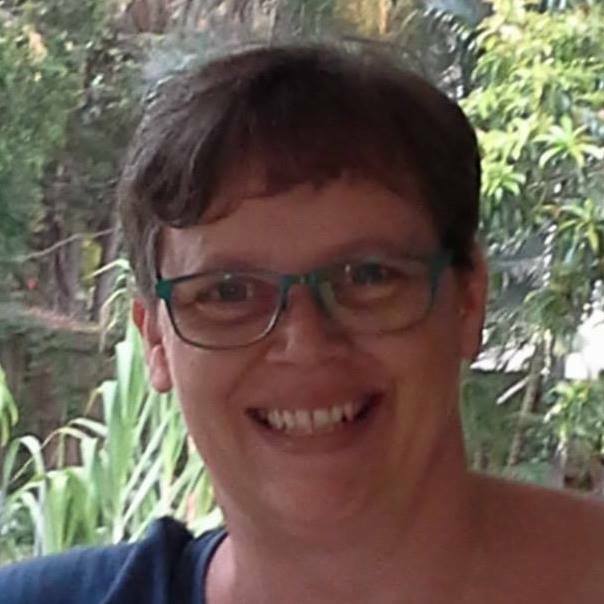 You can read Donna's full statement and timeline by clicking here. I decided you can never have too many fur coats! The women wives in this book arrived from around the world. They came from different lifestyles, backgrounds and situations. Their average age was 25. 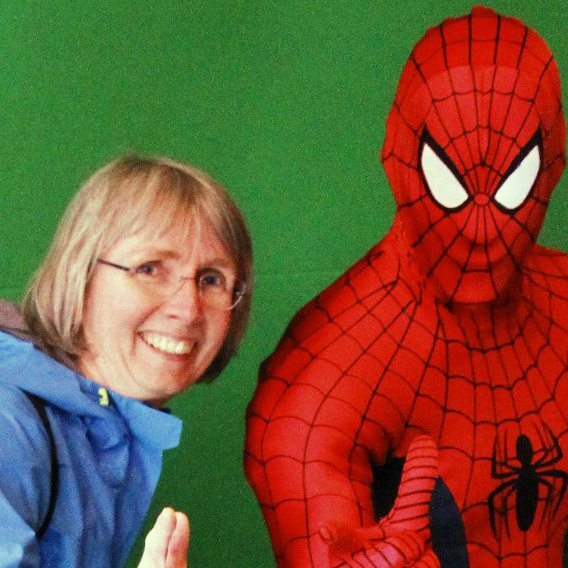 Their educational backgrounds varied from those with doctorate degrees to stay at home moms to dancers. Most did not know exactly where they were going or what awaited them when they arrived in Los Alamos, New Mexico. These women were forced to come together to create a life for their families in New Mexico. 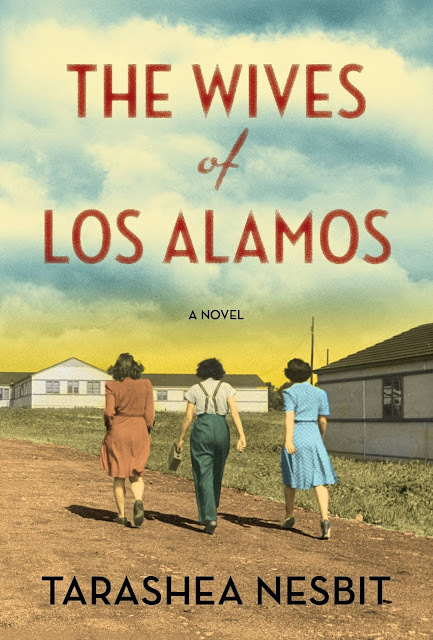 TaraShea Nesbit's The Wives of Los Alamos is the story of the women who supported the men who worked on one of the biggest research projects in World War II. Unknowingly, these families would be tied to a huge development that changed the course of history. Their lives during the time they spent in Los Alamos were tough but they had even bigger challenges ahead when their experience was over and they had to weigh their contribution to the creation of a hugely destructive development of the 1940s known as the Manhattan Project. 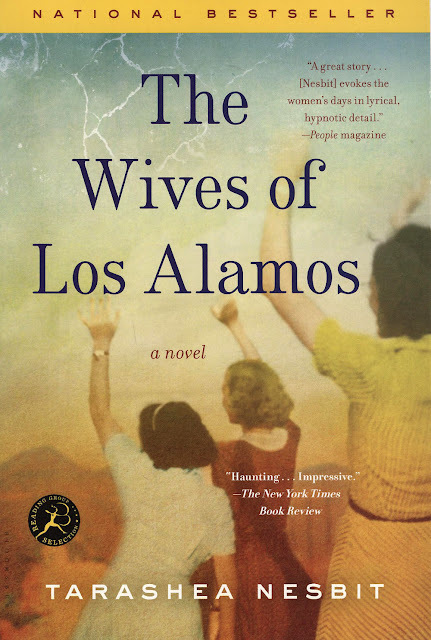 Is The Wives of Los Alamos a True Story? 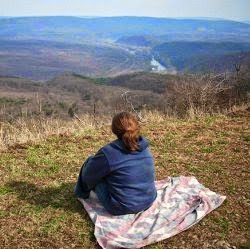 "We were European women born in Southampton and Hamburg, Western women born in California and Montana, East Coast women born in Connecticut and New York, Midwestern women born in Nebraska and Ohio, or Southern women from Mississippi or Texas, and no matter who we were we wanted nothing to do with starting all over again, and so we paused, we exhaled, and we asked, What part of the Southwest?" That voice was okay for the first while but eventually I would rather have had the story told by a single individual. I can, however, see how this voice allowed many viewpoints to be expressed in each situation but there are many who could not get past the author's style. Others, however, really enjoyed this book and the style it was written in. At the end of the book, I was left with a lot of thinking to do. How did those individuals cope with knowing they had made such a horrific contribution to the war effort? How would you cope? How would I? Yes, I would recommend this book because it is a novel about a very significant scientific development in world history that takes place in the United States. You might want to read it for that fact alone and you never know, you might enjoy the style, too. You can buy your copy from Amazon by clicking right here. 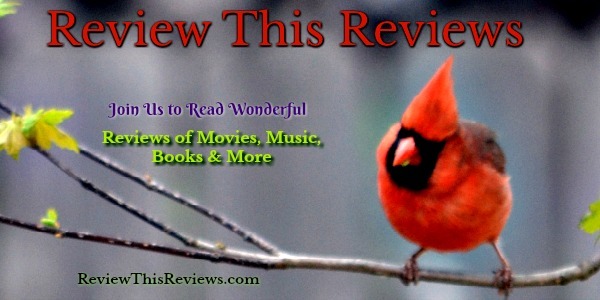 If you do read it, be sure to come back and let us know what you think about the style and the story. 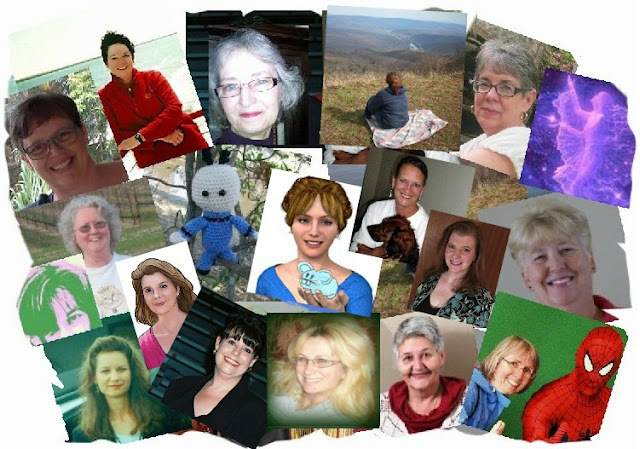 Buy your copy of The Wives of Los Alamos on Amazon. Harvest time in wine country is the most exciting time of year. If you live on a road with at least a dozen wineries within four miles, as I do, there is something going on almost every weekend, and usually competing events. There are First Crush events and Harvest Celebrations. That means concerts and food, and lots of wine tasting. You can smell the aroma of crushed grapes as you drive past. Since I live so close to so many vineyards, I've had opportunities to watch the grape harvest, especially at my neighbor's winery, Croad Vineyards. That link will take you to more photos and videos of the Croad harvest as I saw it. Earlier this year I also had the opportunity to watch the bottling truck in action. This video shows you how the wine actually gets into the bottles as I witnessed it. The vines themselves are laden with purple fruit. Usually by harvest time the leaves have turned into the various shades of red, rust, and gold. 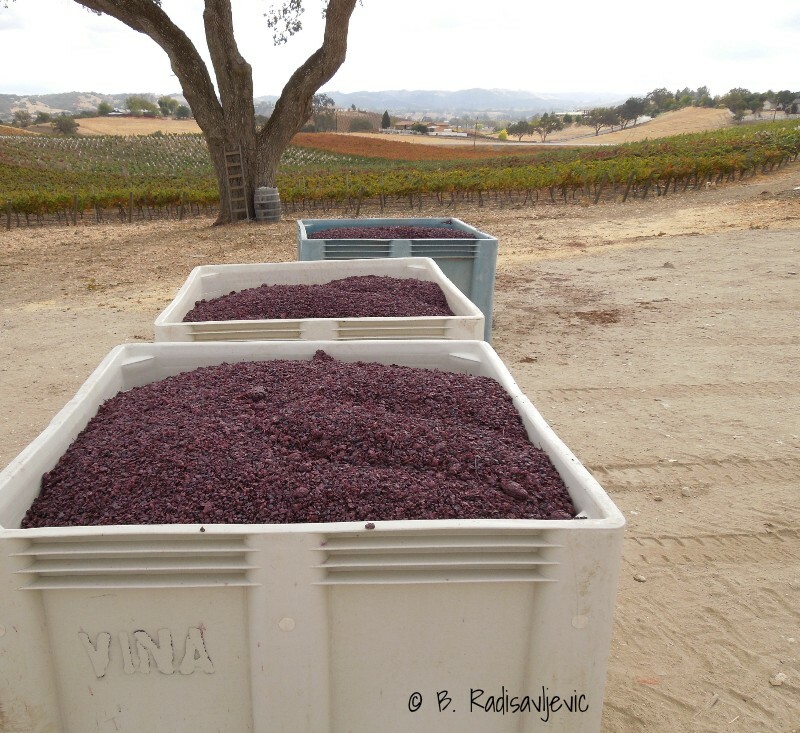 After the grapes are harvested, they are gathered in plastic bins for processing. They may go into a machine such as the one in the poster below at Zenaida Cellars in Paso Robles to have the stems removed. People stand by to make sure everything works properly and nothing is missed. One of the most popular wineries in autumn is Niner Estates, home to Heart Hill, pictured on a poster below. The natural heart-shaped grove of oak trees was on the hill long before the vineyards were planted around it. 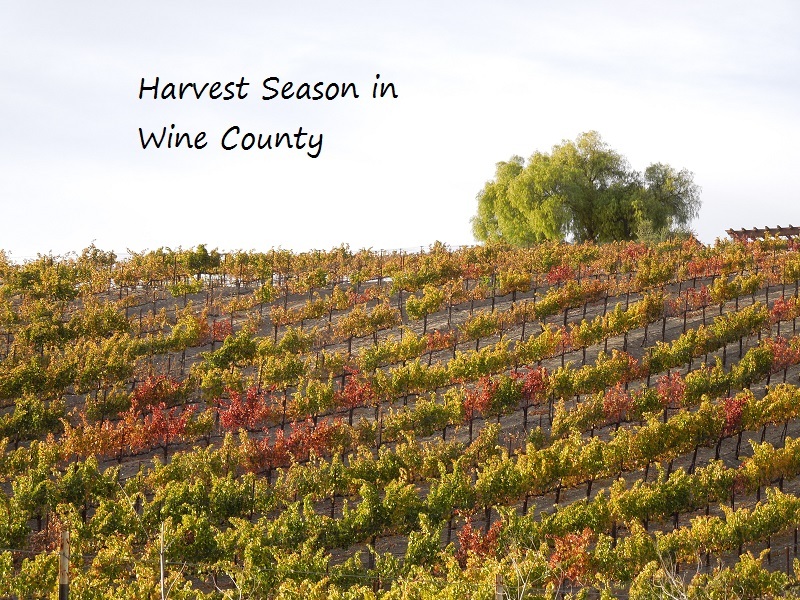 It's beautiful at any time of year, but in fall around harvest time the vines frame the heart with autumn colors. Heart Hill appears on many of my Zazzle products, including postcards, necklaces, keychains, plaques, ornaments, and more. 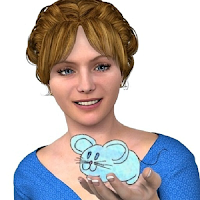 They can be customized to remove, change, or add your own text. 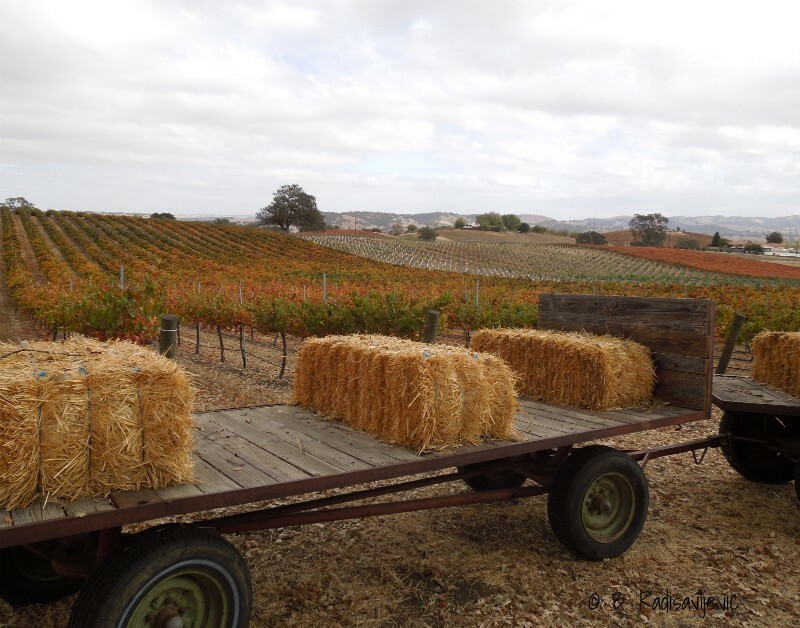 The City of Paso Robles and the surrounding rural areas of Templeton and San Miguel are home to over 200 different wineries. If you are a wine lover, it's worth a trip here. If you come, you will want to try some of the award-winning wines at Sculpterra Winery. While you are there you can enjoy its famous sculpture garden and enjoy its Sunday afternoon concerts. It's one of my favorite places. It's about ten miles east of the city of Paso Robles. The wineries closest to my home are Croad Vineyards, Niner Estates, ZinAlley, Donati Family, and Aron Hill -- all on Highway 46 or close to it. Other 46 West wineries where I often shoot photos for my Zazzle products are Zenaida Cellars, Castoro Cellers, Peachy Canyon, and Doce Robles. 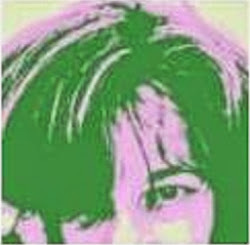 If you click through to my Zazzle collection linked to above, you will see photos from some of those wineries on my products. 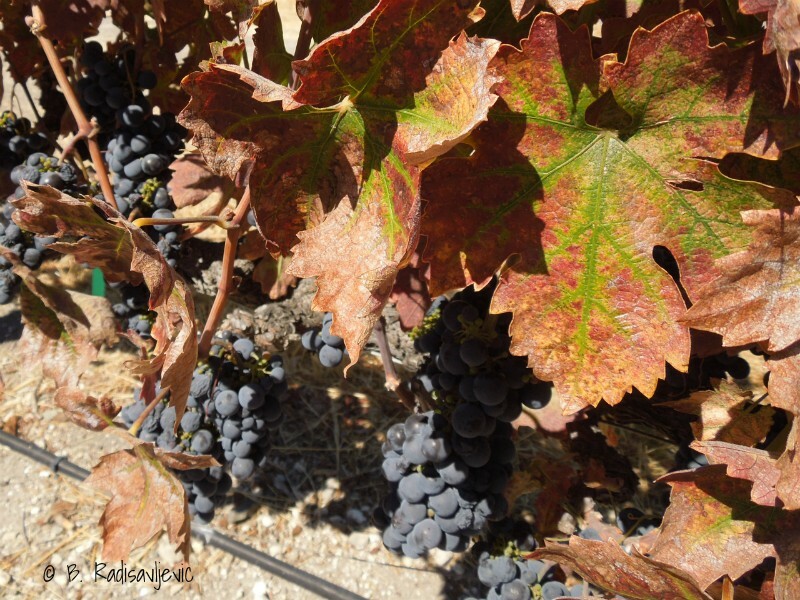 I hope you've enjoyed your virtual tour of wine country at harvest time. 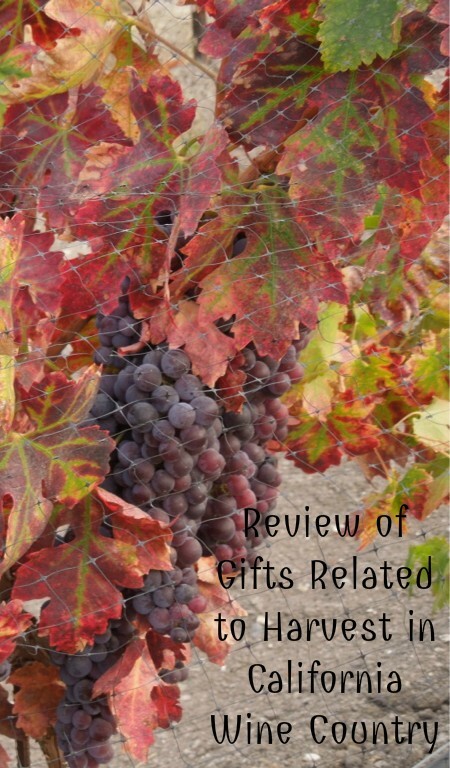 Be sure to pick up a souvenir from this trip at California Wine Country Memories and Gifts.